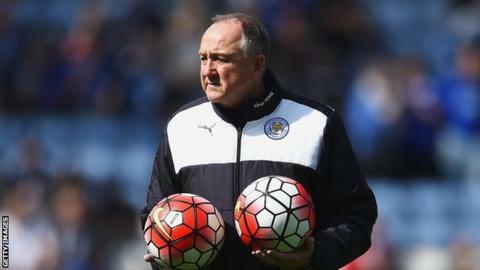 Leicester City's head of recruitment and assistant manager Steve Walsh has agreed a new deal with the Premier League champions. Walsh has been credited with helping discover bargain signings such as winger Riyad Mahrez for £400,000 and midfielder N'Golo Kante for £5.6m. Fellow assistant Craig Shakespeare - formerly at Hull - has also agreed new terms with the Foxes. "We've not signed but it's all agreed," said former Chelsea scout Walsh. Algerian Mahrez joined from Le Havre in 2014 and was a star player as the Foxes became top-flight champions for the first time in their 132-year history. He was also voted PFA Player of the Year. Frenchman Kante, who was also on the shortlist, was another who played a key role in the side. "It's about knowledge," said Walsh. "You can't know every player in the world - that's impossible. But you target certain leagues and you try and find the better players within that league, and then try and find out about them as much as they can. "Once the season starts you've got until January to make a decision - you don't need to make a snap decision. So if you really believe in a player, get all the DVD evidence clipped up, but then get out and see them." Leicester celebrated their coronation as champions and lifted the trophy on Saturday after beating Everton 3-1 at the King Power Stadium.